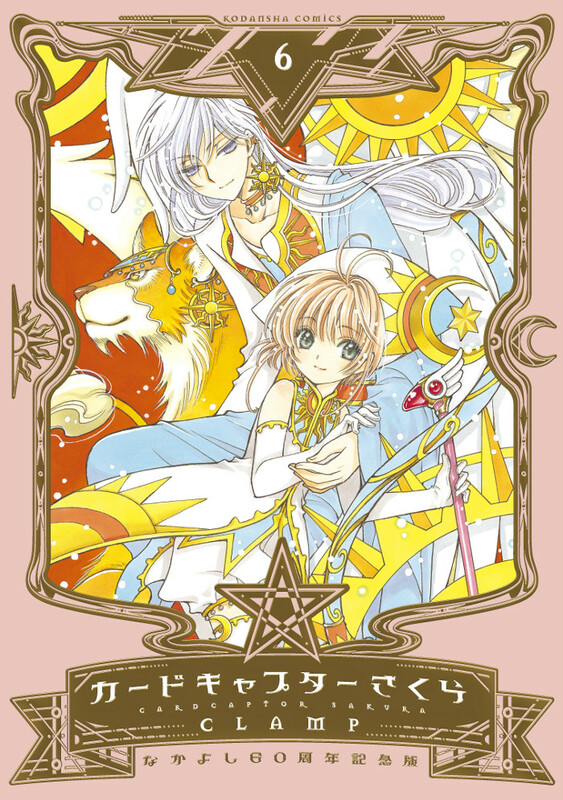 Here are the gorgeous covers of Card Captor Sakura vols. 5 & 6 ~Nakayoshi 60th Anniversary Edition~! Both volumes are already on sale. Notice how the design of volume 6 changes since it’s the beginning of the “Sakura card” arc of the story (and yet Sakura doesn’t have her star staff?). It’s been announced that the 9th and final volume will have a special edition as well as the regular one. 02 cards featuring the illustrations from the new covers of the Anniversary edition (they don’t mention which ones). The cards will be in the same size as the books (B6) and the special sleeve will hold them all. More details regarding the cards and special sleeve will be announced soon. The special editions of Card Captor Sakura are available for purchase through CD Japan with worldwide shipping. I had a hard time to understand what was the deal behind the special edition. I hope I got everything right… I’m still not sure about the 2 cover illustration cards — are they gonna be picked up at random? Maybe the first and last ones. 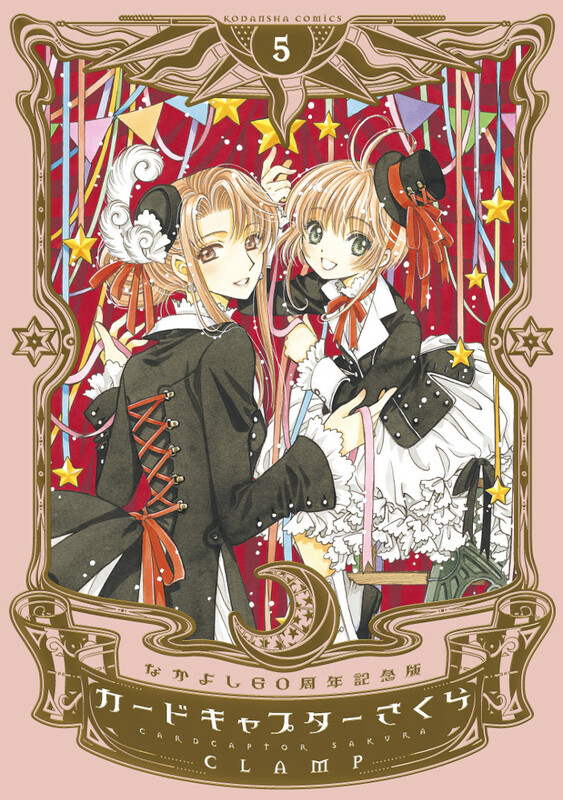 At first I thought there would announce a brand new special edition of CCS, like, another set of 12 volumes. I was like “AGAIN? !” — freaked out! About the illustrations as cards coming with the special edition, I am afraid I don’t know anymore than you (more like, less…), but I do feel that the choice of artworks for the last 2 cards is a bit…random? I get it when they say they will he including the digital content in the form of cards (I am very happy about that one! ), same for the full illustration that is being used for the trading cards, but then, 2 cards featuring 2 covers of the new edition covers…? I mean, we already have the covers printed in really good quality on the cover + the printed textless version inside the book + the digital versions of both, and now we are also getting cards of 2 of them? ^^;; I’m not too sure what to feel about that one, not that I am complaining about extra content of course, anything extra is always very welcome! I ended up being totally wrong, even down to which bonus cards would come with each volume! 😀 (Vol. 4 came with the Syaoran card.) Eriol is going to be on Vol. 7, but judging from the layout of the preview sketch from that CLAMP interview a while back, it could swing any way in terms of who else will be on the cover. Here’s how I think it’ll go! If we get a preview card of the next cover, we’ll be able to guess the rest of the characters and lay all of our speculation to rest. You’re right =) Thank you! I would confidently say the same thing if not for last month’s fiasco: when I was absolutely convinced the YuexKero picture was volume5, but ended up being volume6 cover >.< Now, I am hesitating, even if logic is telling me there is just now way 1-they are revealing the last volume cover 3 months in advance (why would they do that?) and 2-following the story events, SxS should appear last like most people have been justly expecting. Actually I looked back at the ad for volumes 5 and 6 and I think we made a huge mistake in assuming that was volume 5. It clearly says “volume 6 illustration cover”. We just assumed it would be for volume 5 because it made more sense and because volume 3 cover was announced before. The big “volume 9” thing it’s just the special edition announcement, it’s not for the illustration. I’m still positive that’s the cover of volume 7.